All cars consume oil, at different rates depending on the engine model, driving patterns, engine load, and maintenance history. But excessive engine oil consumption should be taken seriously. If you know your engine is consuming too much oil, diagnose the problem, the sooner, the better. Sometimes the source of the problem is evident, like a damaged gasket. 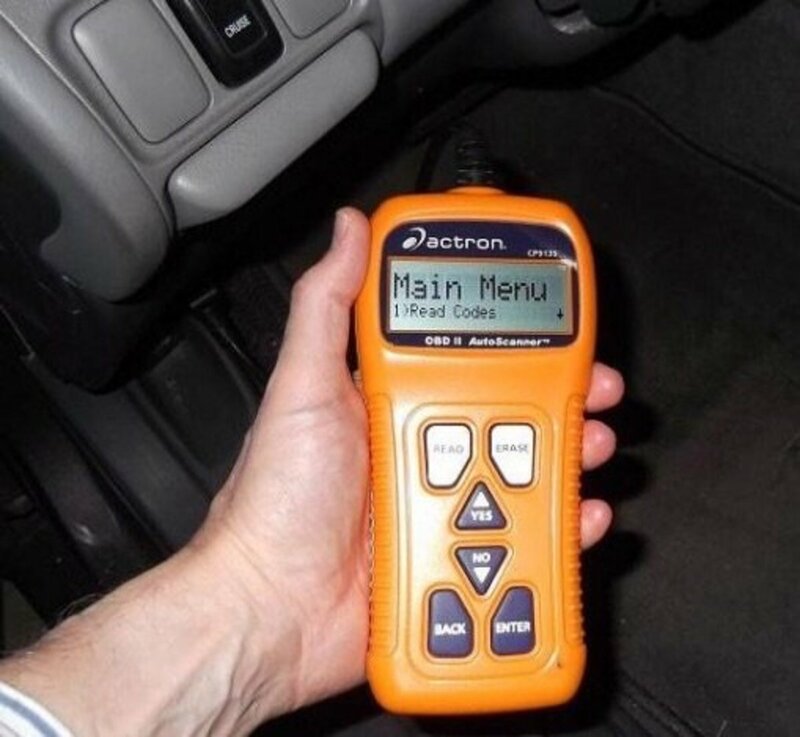 When the source isn't that obvious, this guide will help you make the diagnosis by directing you to common sources of oil consumption, internal and external. Does the oil warning light on the dashboard illuminate? Have you found oil stains on the floor? Do you see blue-gray smoke coming out of the tailpipe? 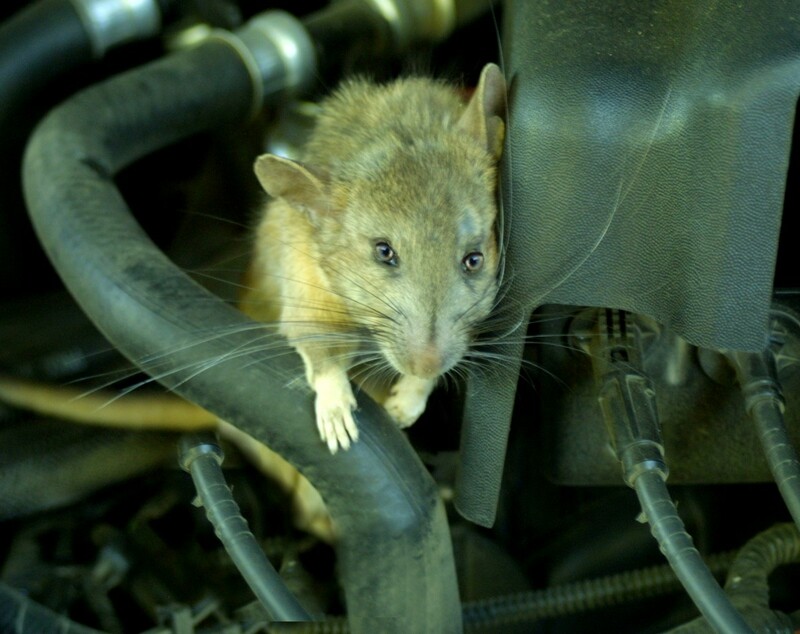 Can you hear odd noises coming from the engine? and which internal sources might cause the problem. Is My Engine Consuming Too Much Oil? Why Is My Brand New Car Consuming Too Much Oil? 1. Is My Engine Consuming Too Much Oil? 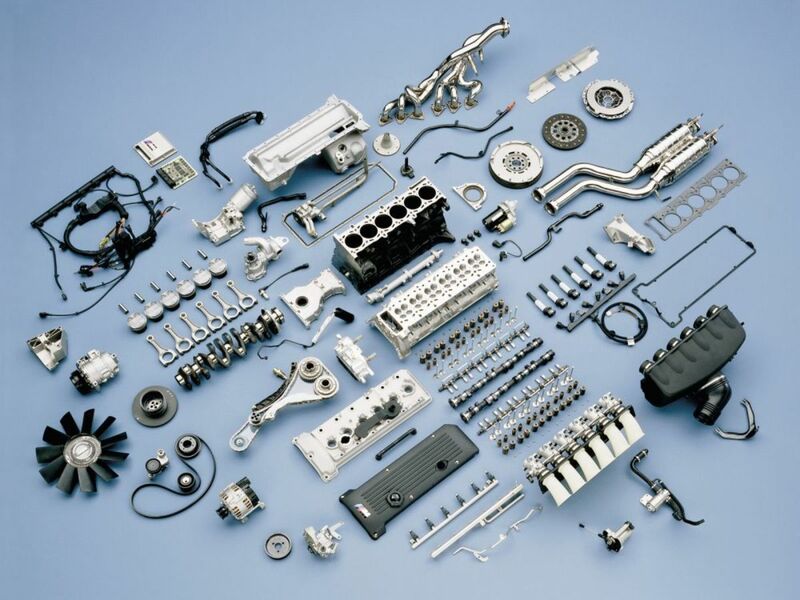 Vehicle engines consume a small amount of oil as part of their normal operation. But how much is too much? At what point should you be concerned? it's time for a diagnostic. Your engine has either an external or internal oil leak. Your engine may not show signs of blue-gray smoke. Still, you may suspect you're adding too much oil between oil changes. Park your car on a level surface and wait about 20 or 30 minutes to allow the oil in the engine to drain into the oil pan. Open the hood and pull out the oil dipstick. Wipe it clean using a shop rag. Reinsert the dipstick completely into its tube and pull it out again. Make sure the oil level marks full. Otherwise, add the correct type and amount of oil for your engine to make sure to bring up the level to the Full mark. Once the engine has the correct amount of oil, jot down the number of miles the odometer shows and save this number in a safe place. Drive your car as you normally do, check oil level at least once a week (or before, if you think it necessary). And keep an eye on the odometer. You want to know when you've driven 3000 miles. Now, if you need to add a quart of oil at or before 3000 miles—because the oil level on the dipstick is at the Low mark—your engine is consuming too much oil. The engine may have an external or internal oil leak. 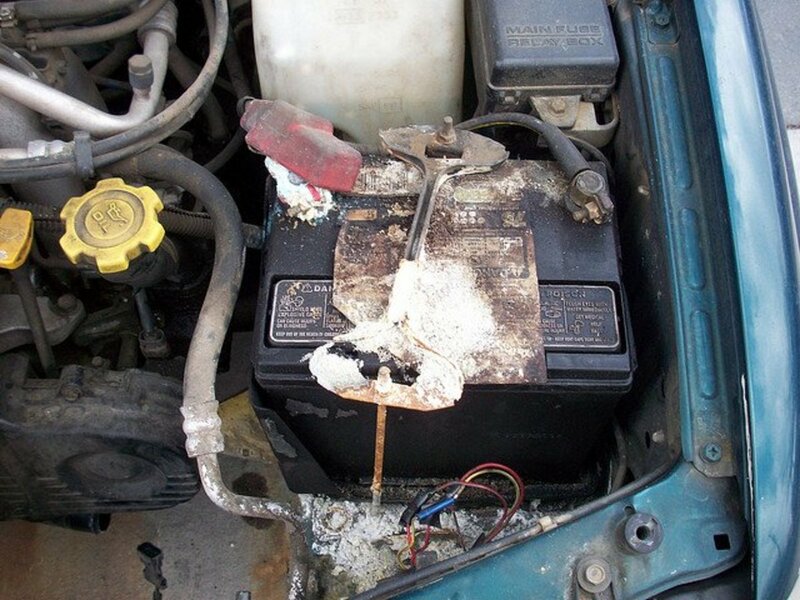 If the engine has used over half a quart but less than a quart, you may have a small leak. If the engine used half a quart or less, you might be within a reasonable limit, but you still need to watch for oil consumption. 3. Why Is My Brand-New Car Consuming Too Much Oil? Owners of some new, or relatively new, car models complain that they have to add oil between oil changes. Although manufacturers of some of these vehicles say oil consumption between changes is normal, Consumer Reports says not everyone agrees. 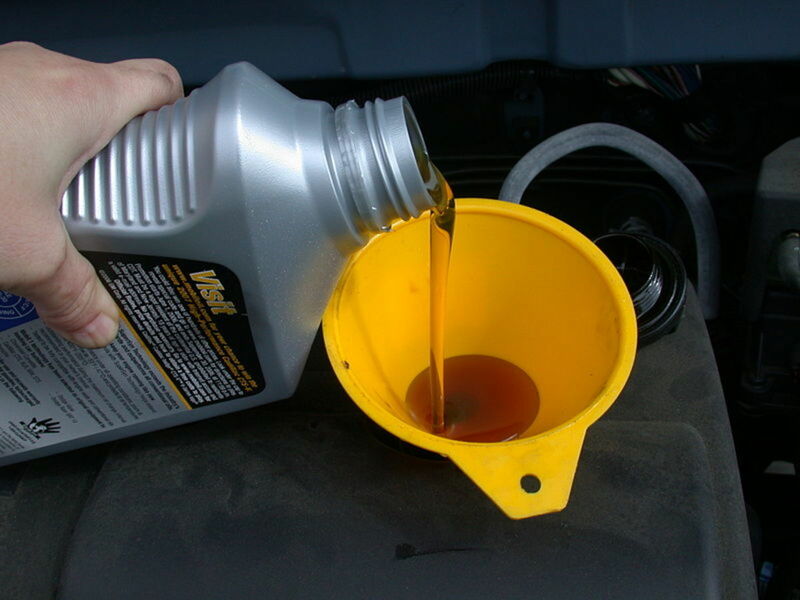 Once you confirm that your engine has started to develop an oil leak, you need to find the source. External oil leaks are sometimes easier to detect because they may leave behind an obvious trace of fresh oil somewhere around the engine or on the floor where you park. Internal oil leaks, though, are not that obvious, unless you can see a cloud of blue-gray smoke coming out the tailpipe. If you suspect your engine has an oil leak but can't pinpoint the source, the next two sections will help you diagnose the problem. External oil leaks are perhaps the most common sources of high oil consumption. These type of leaks may come from worn out or crushed gaskets or seals, or a damaged part. Depending on the severity and the source of the leak, you may see a small puddle of oil on the floor where you park. 1. First, visually inspect the PCV valve and connecting hoses and grommets (here's more about checking the PCV system). If the valve is stuck open (possibly from sludge), or a grommet or hose in the system is leaking, it may allow a constant flow of air—and oil—out of the crankcase. 3. If you don't see signs of leaks on the floor or ground anywhere around the engine, do the following to search for the leak. You may need to lift the front of your car using a floor jack. Secure the vehicle on jack stands, block the rear wheels and engage the parking brake. Look for darkened, wet spots around the engine. Follow the wet area to the highest point in the engine. Steam- or pressure-wash the engine if it is so covered with dirt or grease that you can't trace the leak to the source. Then look over the engine to try to trace the oil leak back to its source. This could be a gasket (oil pan or valve cover), a seal (engine front or rear), or a damaged component (oil pan or drain plug). If the leak source seems to come from high around the cylinder head, check the valve cover. 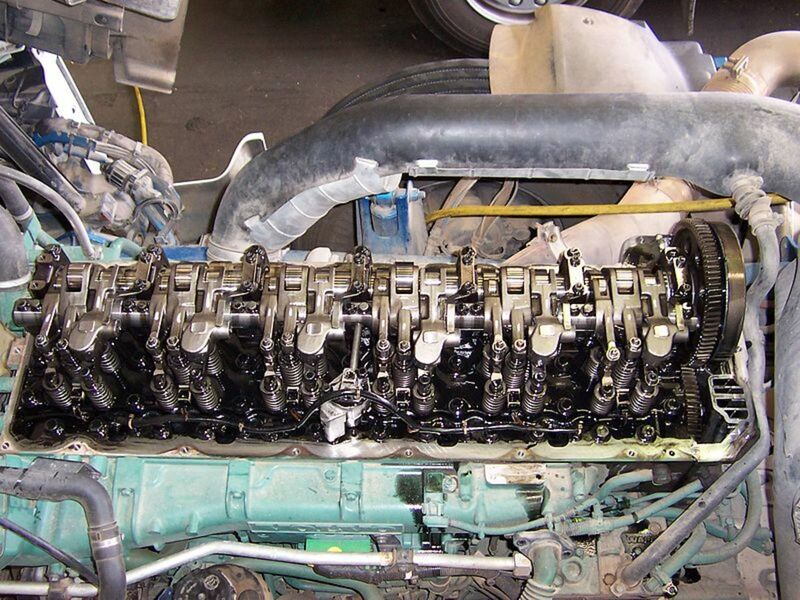 Verify that the valve cover gasket or O-ring is still in good shape. Then make sure the bolts are tight (consult your vehicle repair manual for the correct torque for your car model). 4. Another common source of leaks is the oil pan underneath the engine. Inspect the condition of the oil pan gasket. Aso, make sure the bolts are tightened to the correct torque, and the drain plug and gasket are still good. Consult your vehicle repair manual. 5. If the leak seems to come from the engine oil filter area, check that the filter is tightened properly. If you just replaced the filter, verify that the old filter gasket was removed. Then, check that the oil pressure switch is not damaged or loose. 6. If the leak seems to come from the front of the engine, check the front seal for damage, or the gasket in the oil pump housing. You may need to remove the timing belt cover. 7. If the leak is in the rear of the engine, the rear seal may be leaking. To inspect the rear seal, though, you would need to separate the transmission from the engine. 8. Sometimes the leak is so small that you won't be able to find the source through a normal visual inspection. You may want to wait for the leak to become more noticeable, or you may want to use an oil leak detection kit. Just like external oil leaks, an internal oil leak in your engine may show a telltale sign. You may detect a greasy film (or residue) inside the tailpipe of your car. That's oil coming through the exhaust system from the combustion chambers. 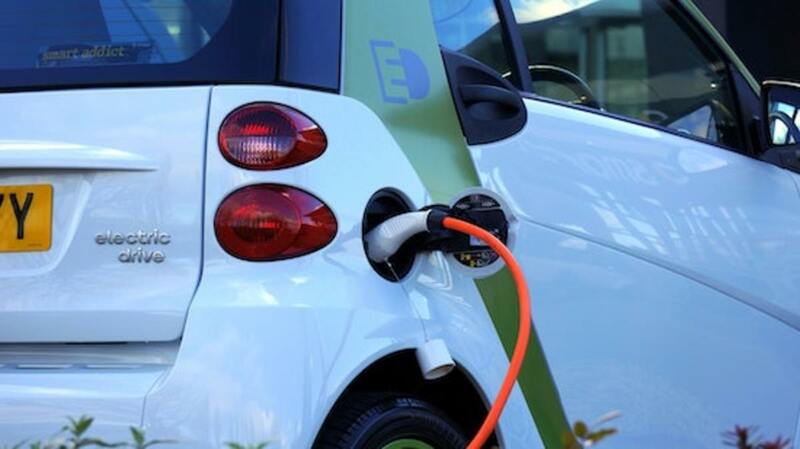 If the problem is severe enough, you may see blue-gray smoke coming out the tailpipe. Don't confuse this with white or black smoke. You'll also notice a gradual drop in engine oil level. The blue smoke comes from engine oil being burned inside the combustion chamber. Besides being a sign of the dangers associated with an oil-starved engine, oil going through the exhaust system will eventually destroy your catalytic converter because of the anti-wear additives in the oil. How can engine oil find its way into the combustion chamber? Abnormal oil leaks into the combustion chamber can come from any of these sources. A clogged crankcase ventilation system or valve. Sludge and varnish can build up and prevent blowby gasses from recirculating. The restriction will increase internal crankcase pressure, which in turn will accelerate the wear of piston rings, gaskets, and seals, allowing oil to escape into the exhaust system or leak through. Bearings. High mileage or poor maintenance will wear down bearings and can damage them. Worn-out bearings will flood the cylinders (from below the pistons) because of the excess oil the bearings are circulating. 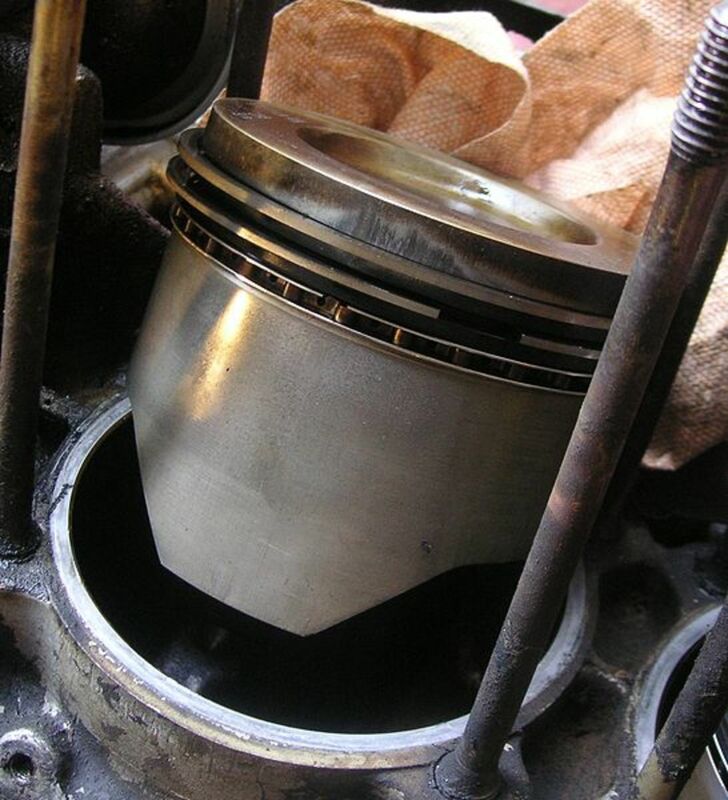 The pistons and piston oil-control rings might not be able to handle the increase in oil throw. Rings may stick, allowing oil to filter into the combustion chamber. Similarly, connecting rod and camshaft bearings can flood pistons and valve stems and guides. The vacuum will pull the extra engine oil collected alongside the valves into the combustion chamber. A vacuum or compression engine test will help you check for worn piston rings, cylinders and valves. Consult the vehicle repair manual for your model (Haynes is a good cheap aftermarket manual). Pulling heavy loads, especially in mountainous terrain. Switching to a lighter weight oil than the one recommended by your car manufacturer: for example, switching from 15W-40 to 5W-30 or 10W-30. Switching to a low-quality oil can promote carbon buildup around piston rings, leading to ring malfunction and oil leaks. Operating your vehicle with an overheating engine (bad cooling system, bad cooling fan or thermostat) can create hot spots around one or more cylinders. 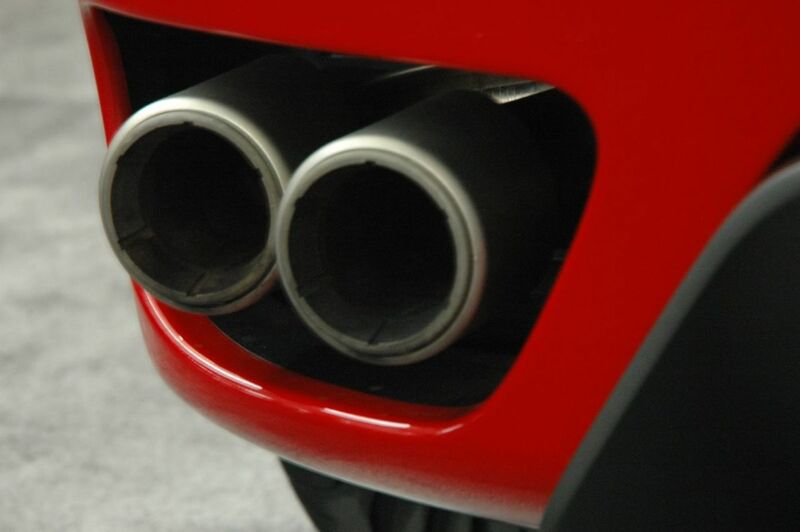 Hot spots will distort the cylinder and allow oil to leak into the combustion chamber, leading to high oil consumption. Failing to change dirty engine oil will accelerate the deterioration of gaskets and seals and the wearing of pistons, piston rings, cylinders, and bearings. This results in higher oil consumption. 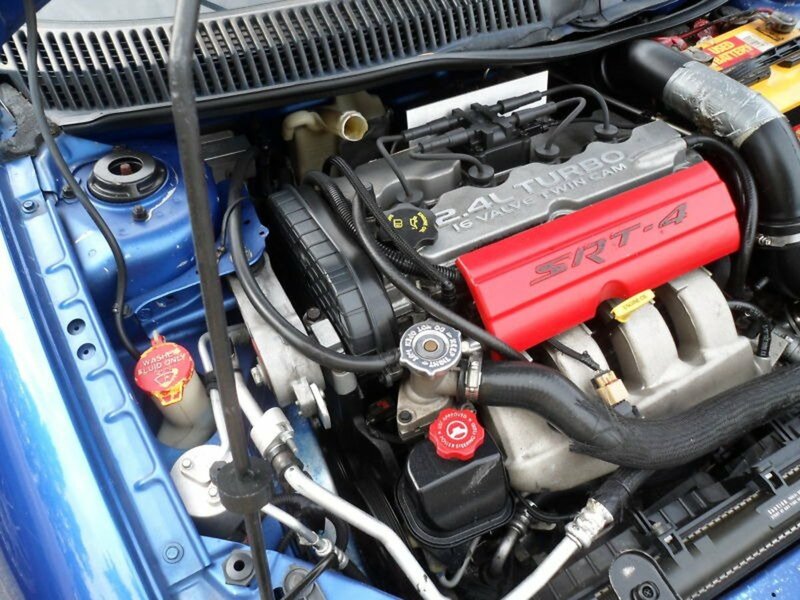 Operating the engine with ignition timing problems may lead to excessive oil consumption as well. 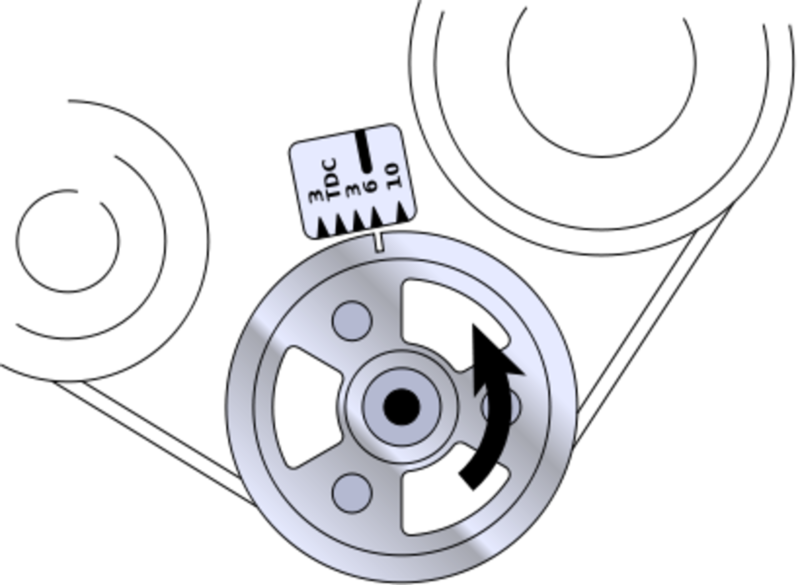 If the cylinders and valves are not synchronized, the vacuum may pull engine oil through the valve stems and guides into the combustion chamber. Preventing these problems from occurring or fixing them when they appear helps you control engine oil consumption and more serious problems in the future. Preventing excessive oil consumption is even more important now that many modern vehicle models come with extended oil change intervals. So monitor your engine oil level and condition more frequently, at least once or twice a month. And change the oil as necessary; don't wait for the manufacturer's suggested interval. When your engine leaks oil, remember that the damage is not confined to your engine. Leaking oil contaminates the soil, and burning oil scatters hazardous particulates into the atmosphere. So repair the oil leak as soon as possible. I had a complete oil change flush on February 20th. On March 22nd, a loud noise came from my engine. I brought it in, and they said the engine was shot. There was no oil. Everything was completely dry, with no sign of an oil leak. No sensor lights came on. Nothing. I went back to Mr. Lube, and they say they have a video showing oil being put in. Plus, they say I could not have driven very long if they had not put oil in the vehicle. Why did this happen? My car is totaled. There was most likely a small internal oil leak. The car technician asked if a heavier weight oil can be used instead of the 5W-20 recommended by the manufacturer. I asked if the higher weight oil will cause the oil pressure to increase and cause gasket or engine seals to leak. Not sure what was the reply. I kept to the same oil used for the last 200k. Will a higher weighted oil cause leakage of any kind? A higher viscosity oil than the one recommended by the manufacturer will increase system pressure and may cause damage. However, in high mileage engines sometimes it’s recommended to use a higher weighted oil if pressure has dropped because of wear. You may want to have the engine checked and see if it will benefit from a higher weighted oil. Will switching from a lightweight oil 0w 20 to a slightly heavier oil help oil consumption in my car? If you have a high mileage engine it could help. My Peugeot Partner Tepee 2013 had its DPF changed, and since this change, I am using 2 liters of oil every 4 or 5 hundred miles. There are no leaks, no loss of power, no smoke out of exhaust or soot around exhaust; no overheating, no loss of oil pressure., I have had it in the garage three times, and they can find no fault, but it is still using oil. What can this mean? I'm not that much familiar with the issue, but you can find this type of problem in some diesel trucks from 2007 and on. With the regeneration system, soot turns into ash through a chemical process, and the ash accumulates in the DPF, and the ash burns off. This is a continuous process. However, if much soot gets into the filter, it can mess up the regeneration process. This may happen with problems in the EGR or injection systems, and too much stop-and-go driving. But engine oil can also find its way into the exhaust from such problems. If you are not doing much highway driving, try taking the car for a 20 or 30-minute drive on the highway for a few days and see if this makes a difference. If necessary, have the EGR and injection system checked. I have a Bakkie and it just cut while I was driving. We connected it to a diagnostic machine, and it says open circuit diesel pump, but diesel is coming to the common rail. I even took the pump to Bosch to test it and they said is working fine. What do you suggest? Check the pulleys the drive belt ride on. One of the bearings may be worn. Also check the pulleys for alignment problems, and the belt for wear. Question: my Daewoo lanos car is making a sound on the side of timing and fern belts but when I remove the fern belt and start the car the sound stops, what can be the problem?